Kelly Christine on Are You Fan Enough? Phanatical on Are You Fan Enough? Kjeantet on Home away from home? The Nationals would beg to differ. Carlos Ruiz seems to be a lucky name when it comes to teams in Philadelphia. In front of a sold out crowd yesterday at PPL Park, “El Pescadito” scored the game’s only goal against the Vancouver Whitecaps. When watching the game yesterday, the thing that stood out the most to me was the improvements that have been made by the Union’s defense this year. With goalkeeper Faryd Mondragon leading the back half, defenders Danny Califf and Jordan Harvey were able to give the team another clean sheet for the second week in a row. (In comparison, the Union only had two celan sheets last year.) In the 77th minute, an exchange between Stefani Miglioranzi and Sebastien Le Toux led to a goal by Carlos Ruiz. The match was overrun with penalties, 7 yellow cards handed out with an ejection given to Eric Hassli by referee Yader Reyes. Three of the yellow cards were handed out to union players: Danny Califf, Kyle Nakazawa, and Danny Mwanga. In the new white jerseys, the Union had an impressive outing in front of their hometown crowd. They are first in the eastern conference with their undefeated record. Next week they’ll be playing the LA Galaxy with known soccer stars Landon Donovan and David Beckham at the Home Depot Center on May 2nd at 10:30pm. The Phillies took on the Toronto Blue Jays this afternoon at the Florida Auto Exchange Stadium in Dunedin this afternoon. I won’t bother trying to make this game sound any more exciting than it actually was. In reality it didn’t even get remotely interesting until the bottom of the 9th anyway. We’ll go forth with a “here’s what happened and this was the score” type recap. Bottom line The Phillies scored runs and the Jays had errors. There were 18mph winds in Dunedin today that made for some pretty tricky plays. Halladay allowed two hits and one walk while striking out one in his two innings of work. The 2010 National League Cy Young Award winner threw 25 pitches, including 18 strikes, against his former team. Roy Halladay, J.C. Ramirez and Michael Stutes respectively tossed two innings each of scoreless baseball. The only thing of interest in the 1st inning was a nice play from Wilson Valdez at 2B over to John Mayberry at 1B to end the inning off a ground out by Jay’s Juan Rivera. In the second inning Jay’s pitcher Jo-Jo Reyes walks both Ben Francisco and Dominic Brown. Delwyn Young reaches on a fielding error by Toronto’s second basemen John McDonald to load the bases. Wilson Valdez makes a nice out in the bottom of the 2nd cutting in front of John Mayberry fighting against the wind in foul territory off a pop up from J.P. Arencibia. Placido Polanco singled in the 3rd for his first hit of the spring. The third inning had a #LOLjays moment; A wild pitch from Joel Carreno who replaced Reyes for the Jays, to John Mayberry moved Polanco to 2B, Mayberry reaches on a fielding error by Jays SS Yunel Escobar, moving Polanco to 3B, with Dominic Brown batting, Mayberry steals 2B and Polanco scores on a throwing error by Jays catcher Arencibia. The Phillies scored 3 in the fourth. Carreno walks Valdez, Rollins singles on a fly ball, Victorino singles, Toronto calls for a pitching change and Carlos Villanueva comes in for the Jays. Polanco singles on a fly ball, scoring Valdez and Rollins. Ben Francisco singles scoring Victorino. Michael Stutes has an impressive 1,2,3 inning for his 1st on the mound for the Phillies, also showing off a pretty nice breaking ball. The Blue Jays kept their starting line-up in through 5 looking for a hit. Harold Garcia of the Phillies doubled in the 6th and looked to be trying to really prove himself. Juan Perez replaced Michael Stutes on the mound for the Phillies and allowed the Jays their first run, Eric Thames scored on a double off of Mike McCoy. Matt Anderson replaced Perez for the Phillies on the mound in the bottom of the 8th inning, he retired the side with a 1,2,3 inning. Dominic Brown was 0-4 this afternoon. Scott Mathieson replaced Anderson for the Phillies and allowed two final runs for the Jays. The Blue Jays were charged with 5 errors. The Phillies beat the Blue Jays 6-3 in their 3rd Grapefruit League game. The Phillies head back to Bright House Field tomorrow to take on the Detroit Tigers. As Cliff Lee makes his Grapefruit League debut. What a long strange year its been. You remember where you were last year. The day the best pitcher in baseball chose less money and chose to call Philadelphia home. That joyous signing wasn’t without a gotcha! moment; to get the best, Philadelphia had to say goodbye to its best pitcher in years. Goodbye the pitcher who was the consolation prize at the 2009 trade deadline. The guy who carried us to our second consecutive World Series. Cliff Lee was the guy I wanted early in 2009 before Roy Halladay was “made available” during that 2009 trade deadline. When we landed Lee I was excited, however feeling like we had settled – that is, until Lee threw his first pitch as a Phillie. He was likable, focused, hard-working, and most important to us Philadelphia sports fans, determined to win. He even took to us as a fanbase, which we all know is difficult to do sometimes. When he was traded away one year ago, I was disappointed, but knew we got the better guy. I was disheartened by rumors that Lee had turned down a three-year deal to lock him up before free agency. He wanted CC Sabathia type money. Maybe it was him. Maybe it was his agent. We’ll probably never know. But with a deal unable to be reached, off to Seattle, eventually to Texas, and yet again to another World Series our once beloved ace went. Its hard in this day and age for a professional athlete to not go for free agency. To not cash in on their one chance to provide for their families and to live comfortably. However, when you’re being offered millions upon millions of dollars, I often wondered why not take less money for what could be your only chance at winning it all? It’s easy to say you would turn it down boatloads of money that’s guaranteed in exchange for a chance to win in a game with a long season where anything can happen. In 2010, not many guys are willing to leave anything on the table. Not even in exchange for a chance at greatness. You knew where you were today (or for many of us, very late last night). You saw the rumblings of this third, mystery team in the mix for Cliff Lee. You glanced at it, payed little attention to it – Cliff Lee was going to the New York Yankees for CC money, wasn’t he? But as the day went on, this little mystery team that could rumor picked up steam. It was everywhere, it took Twitter and the Philadelphia area by storm for hours last night. Our Phillies outed at the mystery team, trying to compete with the seven-year deal from the Yankees and a seven-year deal from Texas. And just before midnight, the tweets came to cross the Yankees off the list. Then the second strike through Texas. Leaving the Mystery Team, who seemingly swooped in at the 25th hour in a blink-and-you’ll-miss-it moment, signed their former ace to a five-year contract. Cliff Lee showed his true colors in this signing. His contract through the next five years will make him a much deserved rich man, but his signing for less money and years at age 32 proves that he cares more about winning above everything else. He recalled being traded away from Philadelphia left him in “shock and disbelief.” We loved him here and he loved us. And while he might have said no to a lot of things sign here, he simply said “yes” to coming home. While the next few days will be filled with excitement over his return, this signing is of course so much bigger than Cliff Lee. It further solidifies that this ride is not over. This run has yet another unpredictable chapter. And reminds us yet again as fans of this often tortured franchise how far we’ve come from those abysmal late 1990s, to the promising yet disappointing early 2000s, and the greatness of the late 2000s. So here’s to 2011, which could yet be the greatest of them all. Sleep well, Philadelphia. In just 61 days, Clearwater will welcome perhaps the greatest starting rotation in baseball history. Hard to believe, isn’t it Harry? 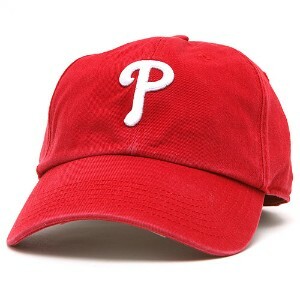 Your hat has no bearing on whether or not the Phils play well. I know we like to think that we can affect the outcome of the game from home, but we can’t. Yes, I’ll still say my prayer to the following in this exact order: God, Daddy, Harry, Whitey, and Robin. Yes, I’ll still sit in my ‘lucky spot’ on the couch to watch the game. But these things really have no bearing on how Halladay pitches, the offense hits, or the defense plays. Welcome to the playoffs, babies (or, for fans of The701Level, babbys and guy babbys)! 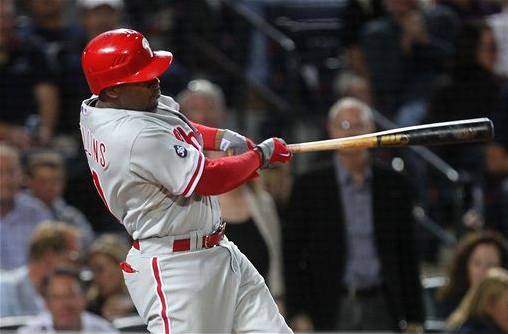 The NLDS begins tomorrow, October 5th, with our beloved Phillies taking on the Cincinnati Reds and the San Francisco Giants taking on the Atlanta Braves. If you’ve already seen the Baseball Ladies’ predictions for the NLDS (which, if you haven’t, what are you waiting for? ), you’ll know that we’re all favoring the Phillies to beat the Reds and advance to the NLCS (where I, personally, hope they’ll face the Giants… if only to bring <strong><a href=”http://www.baseball-reference.com/players/b/burrepa01.shtml?utm_source=direct&utm_medium=linker&utm_campaign=Linker”>Pat Burrell</a></strong> and <strong><a href=”http://www.baseball-reference.com/players/r/rowanaa01.shtml?utm_source=direct&utm_medium=linker&utm_campaign=Linker”>Aaron Rowand</a></strong> back to Philly for a short while). Yes, we’re biased, but the Phillies have been here before – the past three years in a row, actually. The Reds haven’t been in the playoffs since 2006. The Phillies are heavily favored to win this best-of-5 series, but I’m hoping for at least some fight from the Reds, just to make it interesting. I’d love to see the Phillies just destroy them, too… I’m so indecisive. Anyway. Phillies in 4. Pitching matchups for the first three games of the NLDS are as follows: <strong><a href=”http://www.baseball-reference.com/players/h/hallaro01.shtml?utm_source=direct&utm_medium=linker&utm_campaign=Linker”>Roy Halladay</a></strong> v. Edison Volquez, <strong><a href=”http://www.baseball-reference.com/players/o/oswalro01.shtml?utm_source=direct&utm_medium=linker&utm_campaign=Linker”>Roy Oswalt</a></strong> v. <strong><a href=”http://www.baseball-reference.com/players/a/arroybr01.shtml?utm_source=direct&utm_medium=linker&utm_campaign=Linker”>Bronson Arroyo</a></strong>, <strong><a href=”http://www.baseball-reference.com/players/h/hamelco01.shtml?utm_source=direct&utm_medium=linker&utm_campaign=Linker”>Cole Hamels</a></strong> v. <strong><a href=”http://www.baseball-reference.com/players/c/cuetojo01.shtml?utm_source=direct&utm_medium=linker&utm_campaign=Linker”>Johnny Cueto</a></strong>. Our big three against their… three starting pitchers? Yeah, I think we’ve got these in the bag. I am a little curious as to why <strong><a href=”http://www.baseball-reference.com/players/w/worleva01.shtml?utm_source=direct&utm_medium=linker&utm_campaign=Linker”>Vance Worley</a></strong> didn’t make the NLDS roster, in case we need him as a starter or a long reliever out of the bullpen. At least <strong><a href=”http://www.baseball-reference.com/players/z/zagurmi01.shtml?utm_source=direct&utm_medium=linker&utm_campaign=Linker”>Mike Zagurski</a></strong> and <strong><a href=”http://www.baseball-reference.com/players/b/baezda01.shtml?utm_source=direct&utm_medium=linker&utm_campaign=Linker”>Danys Baez</a></strong> didn’t make the roster, either, but there’s a huuuuge difference between Worley and Zagurski/Baez that could really make up an entirely separate blog post. So we’ll skip that for now. So did we just hear an example of some good-natured ribbing from the Phillies’ Spanish announcers towards the television broadcast team, or is this audio proof of the utter contempt and disgust that Martinez and Ricardo have for T-Mac? You make the call. The Braves lead in the wild card standings has been cut to one after the Padres’ 6-4 victory over San Francisco. The Phils try to help the Friars again this afternoon at 4:10 as Vance Worley (1-1, 2.25 ERA) faces Tommy Hanson (10-11, 3.41 ERA) in his second start of the season. Shane and his woman had a baby yesterday. I bet “ya know” is the first thing he’ll say.